Now you can keep the courage and heroism of Wolverine with you with this X-Men Wolverine Ring! 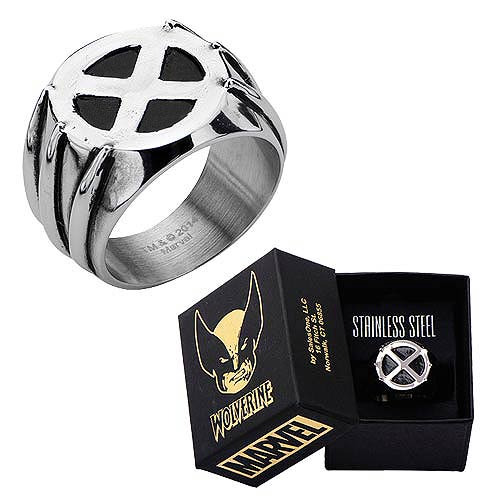 The ring features the X-Men logo on the face of the ring and has Wolverine's claws on the sides. Beautifully crafted of stainless steel, this ring is perfect for any Marvel Comics or X-Men fan! The ring comes in a presentable gift box. Ages 12 and up.